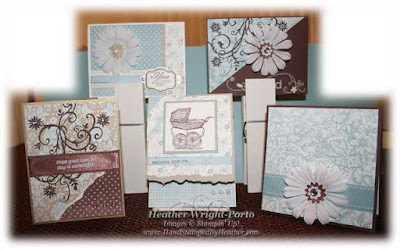 This is a card kit I put together back in April and I still have some of the retired Parisian Breeze paper I'd love to share and use. It is just beautiful!!! I can't believe it's retired! The kit does not include the stamp sets or ink pads used.